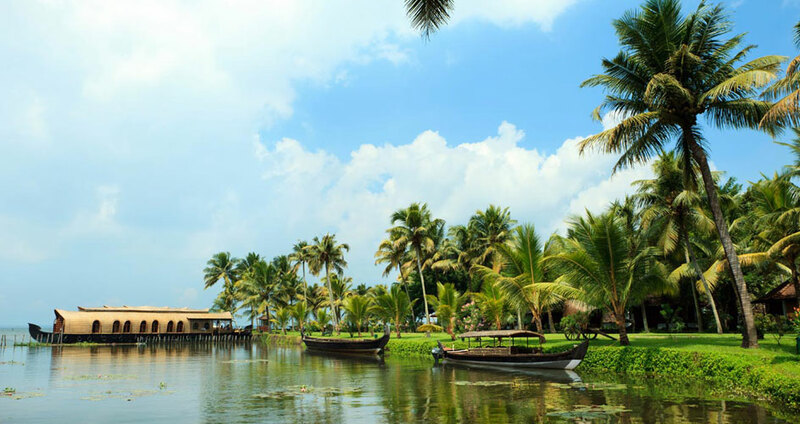 Kerala, God’s Own Country, is blessed with immense natural beauty, scenic landscapes, beautiful backwaters, lush green mountains and hill stations, sandy beaches, paddy fields, national parks with majestic creatures roaming freely and much more. This Kerala Tour takes you through a memorable journey where you will explore the natural beauty, history and culture of this magical state while travelling through coastline of Kerala, spectacular backwaters, slopping tea plantations and lush green paddy fields. You will also go back in time by visiting historic monuments such as the Fort Kochi, Jewish Synagogue, Old Churches and Mosques. We further explore the picturesque hill stations of Munnar, dense forest of Periyar National Park which is an abode of wild animals and a large population of birds. 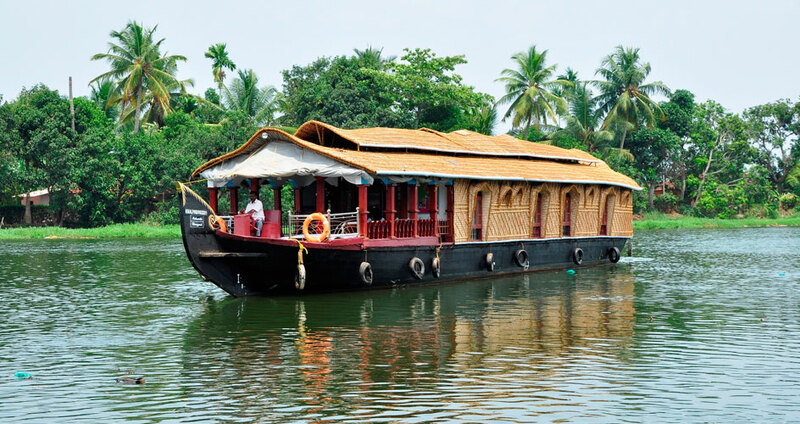 Also, cherish a once in a lifetime experience of staying in a Houseboat over the emerald backwaters. Our Kerala Tour also gives you the opportunity to experience seamless pleasure with the healing powers of Ayurveda. We have picked the best Ayurvedic Resorts and Spas in Kerala for your stay to let you indulge in a range of rejuvenation therapies and leisurely massages. Upon arrival at Cochin Airport, we will pick you up and will be transferred to your reserved hotel. 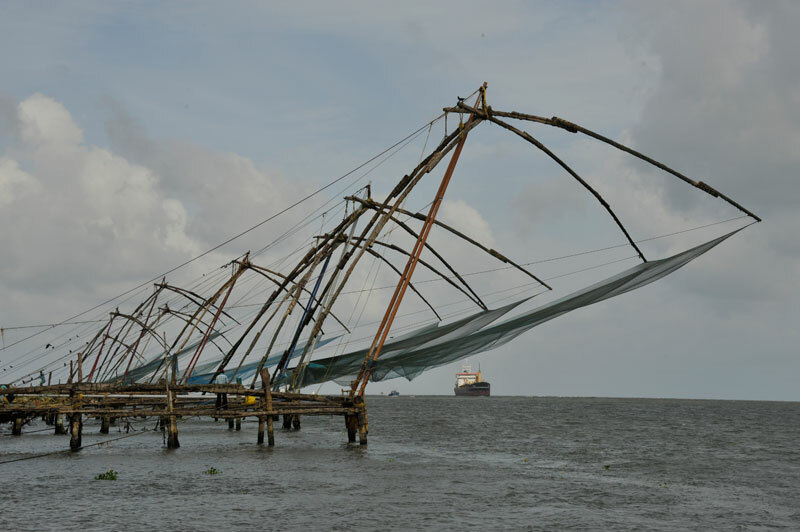 Cochin, also known as Kochi, is the commercial hub of Kerala which evokes splendid images of Chinese Fishing nets. People visit here to soothe their mind and body and to experience a simpler way of living, away from the world of concrete. 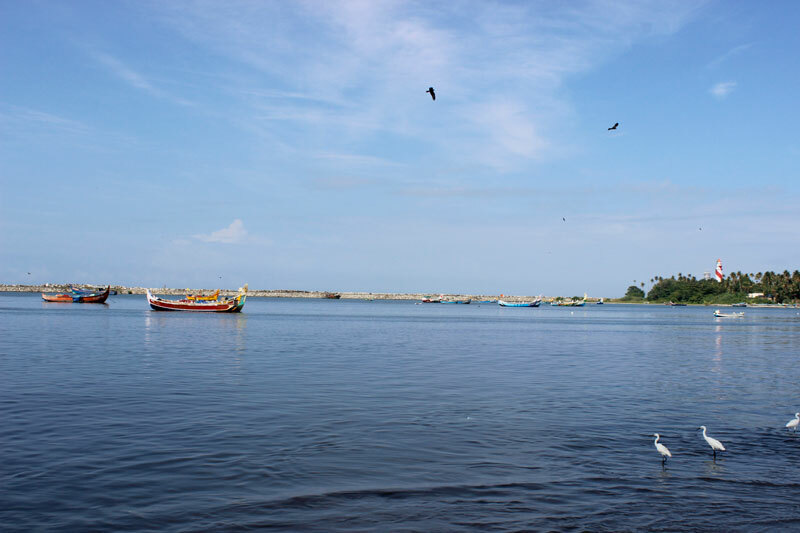 Today, visit Fort Kochi. Walk along the K. J. Herschel Road and catch a glimpse of Fort Immanuel built in 1503 and Dutch Cemetery where graves of former Colonists rest. Explore Dutch Palace or the Mattancherry Palace. The Dutch undertook a massive renovation of this Palace in the 1660s and hence, it’s called the Dutch Palace. 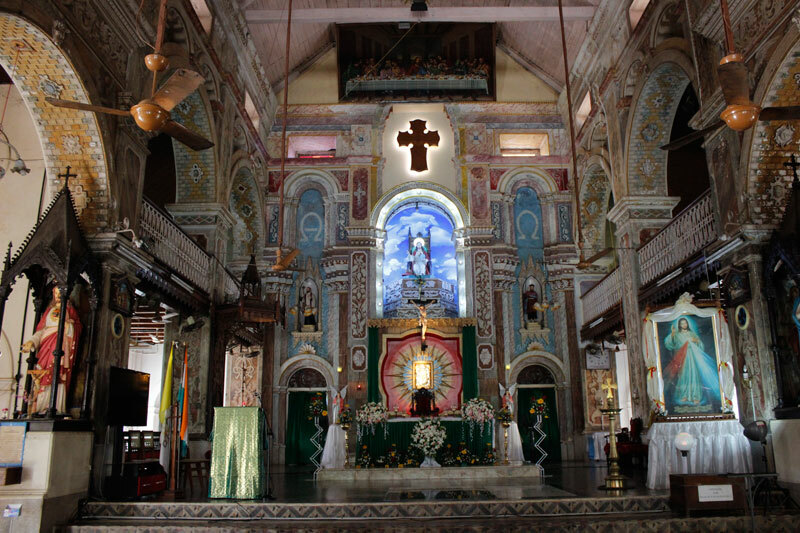 Later head to the St. Francis Cathedral which is one of the oldest European churches in India. Visit the Chinese Fishing Nets which remain a major attraction in Kochi. When Chinese travellers visited Kochi in the 14th Century, they installed these nets in Kochi. Post lunch, visit the Jewish Synagogue- this oldest Synagogue in India has several antiquities in the display such as the scrolls of the law, gold crowns, Belgian glass chandeliers, brass-railed pulpit, 10th -century copper plates etc. In the Evening, you will be taken for a mesmerizing performance of the traditional dance of Kerala, Kathakali dance. 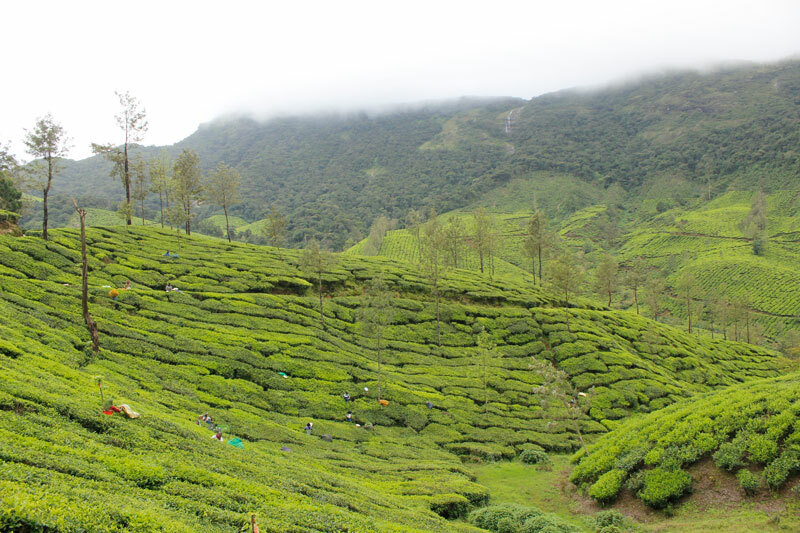 Post breakfast, take a drive to Munnar- a famous hill station located at the height of over 1500 metres above sea level. It is also known with the name of the Kashmir of South India. The 120-km drive to Munnar treats you with some of the most picturesque scenic views of the lush green landscape as we pass through the tea and spice plantations. Upon arrival in Munnar, check-in to the hotel and spend rest of the day at leisure. After enjoying a delicious breakfast at the hotel, visit tea plantations apart from various local attractions such as Signal Point View Point, Idly Hill View Point and Lockhart Gap View Point. 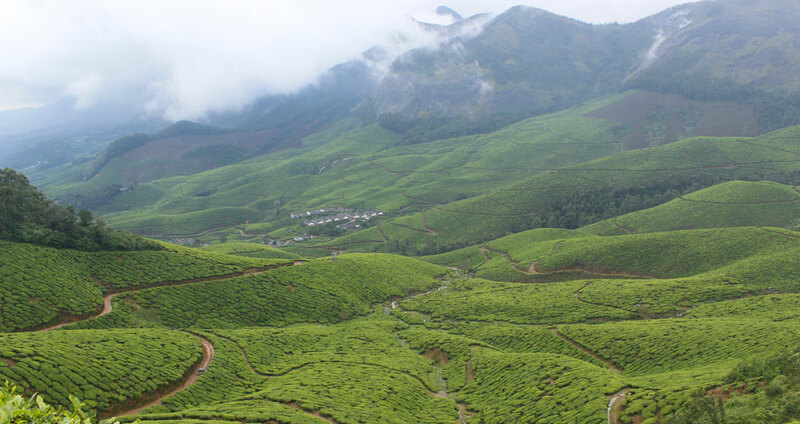 These places treat you with the most spectacular panoramic views of the natural landscapes of Munnar. 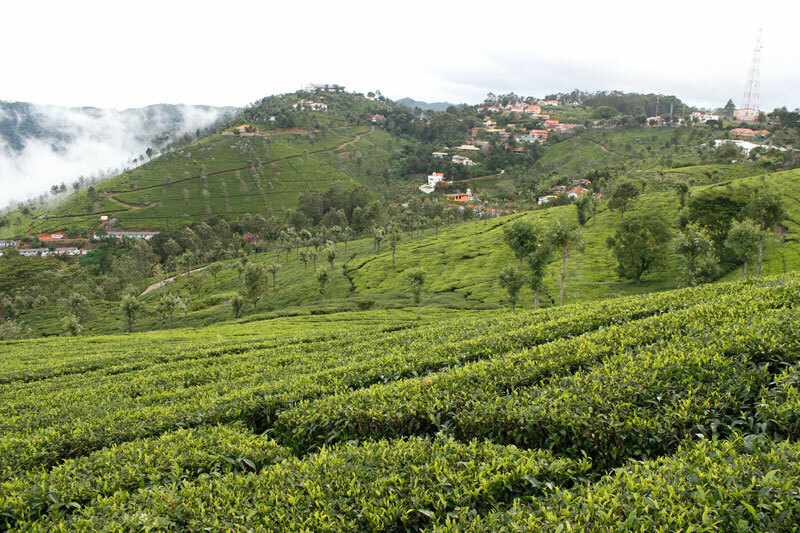 We shall also be visiting a few tea and spice plantations where the air is scented with the aromas of tea and cardamom. You will learn how your favourite tea and spices are grown and processed. Here you have opportunity to buy some authentic tea from Munnar. 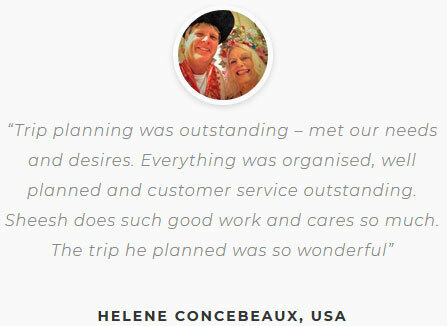 Return back to your hotel for an overnight stay. Today you will bid adieu to the beautiful hill station of Munnar and drive to Periyar National Park, which is a protected wildlife sanctuary. The Park covers an area of almost over 300 sq. 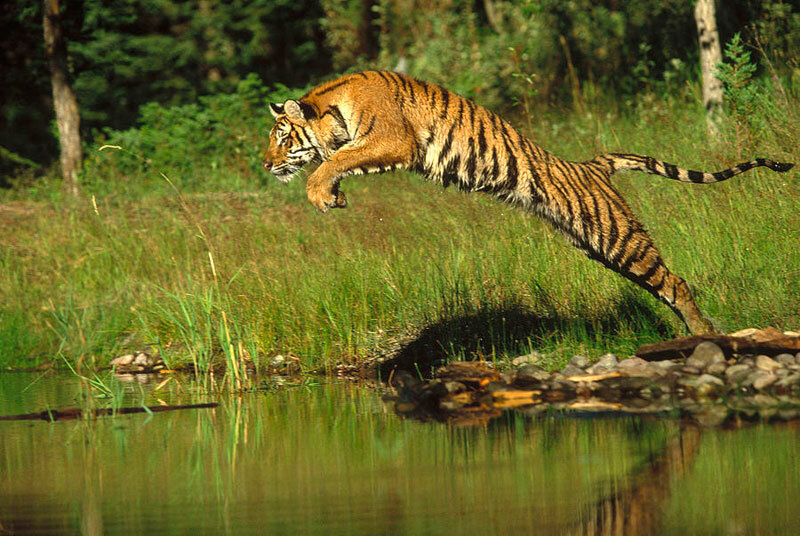 miles and is a repository of rare, endemic and endangered flora and fauna. 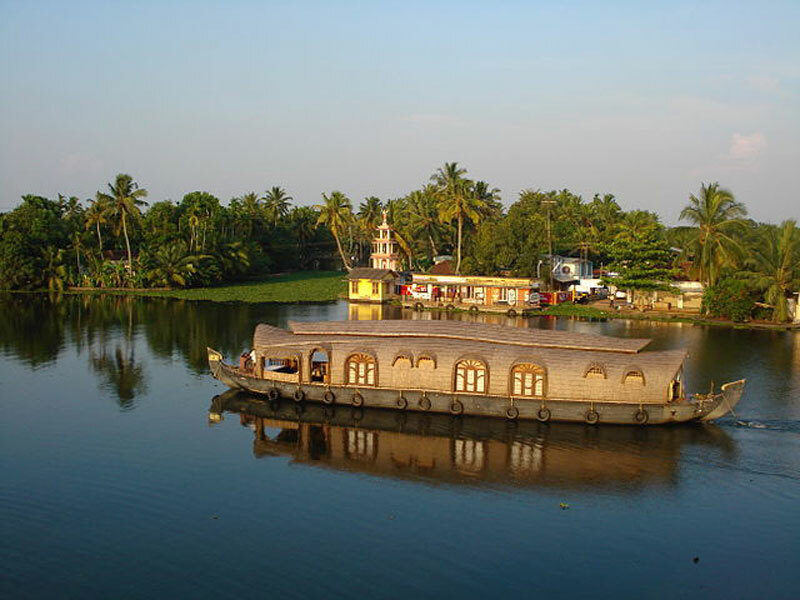 It forms the major watershed of two important rivers of Kerala, the Periyar and the Pamba. Check into the hotel for an overnight stay. 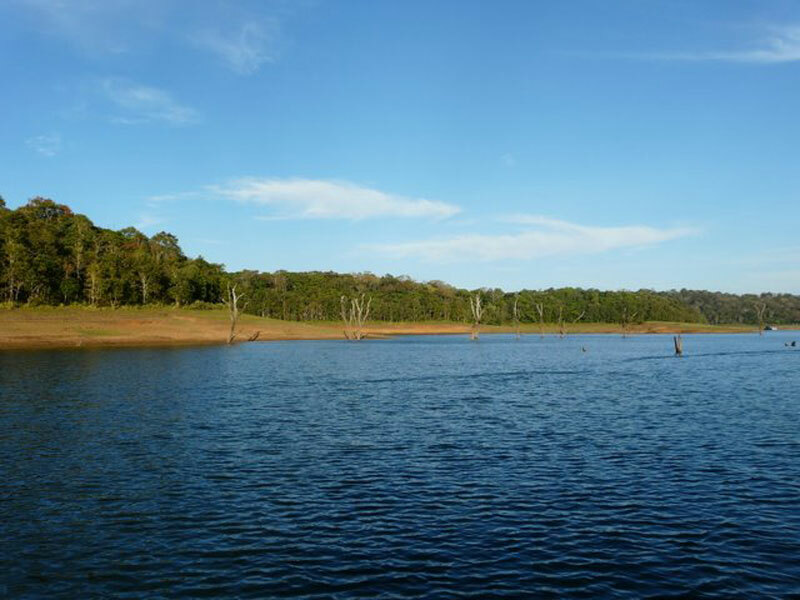 Today embark upon a boat cruise over the Lake Periyar, offering a unique view of beautiful landscape of the Periyar National Park. If you are lucky, you might be able to spot some animals and birds on the shore of the lake. After the boat cruise, we head to the Kumily market, which is an Eden for spice lovers. Shoppers can also buy a wide variety of spice based delicacies such as banana chips, cashews and home-made chocolates which are bought by every traveller visiting here. We end our day with a tour to the spice plantation where the air is scented with smell and flavour of cloves, nutmeg, pepper, cinnamon or cardamom and sometimes a fragrance that combines the scents of two or more spices. 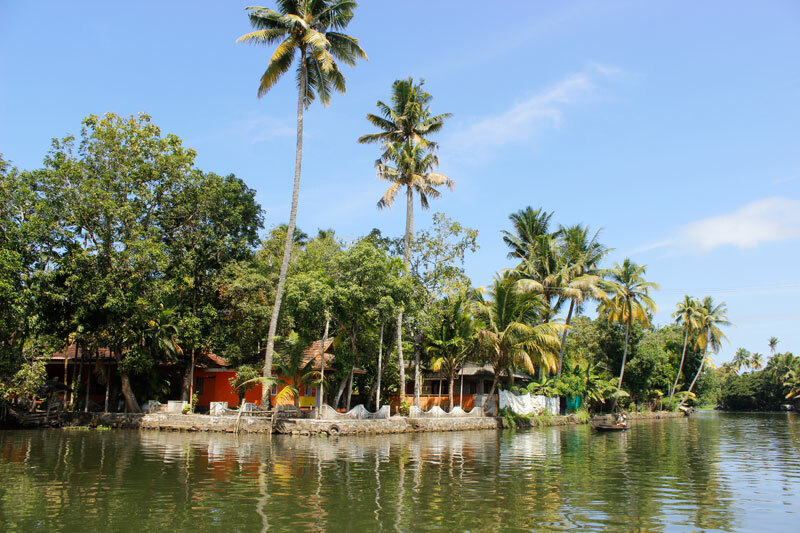 Post breakfast, we head to the backwaters of Alleppey and board the Houseboat from the Alleppey boat jetty. 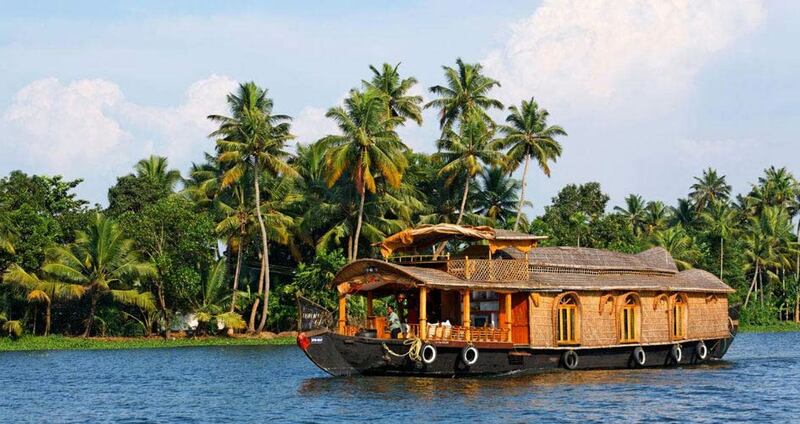 This fabulous overnight boathouse stay is the highlight our Kerala Tour. These houseboats are well-maintained and are equipped with modern amenities like eco-friendly toilets, comfortable beds, trained staff on-board and provision for freshly cooked food. 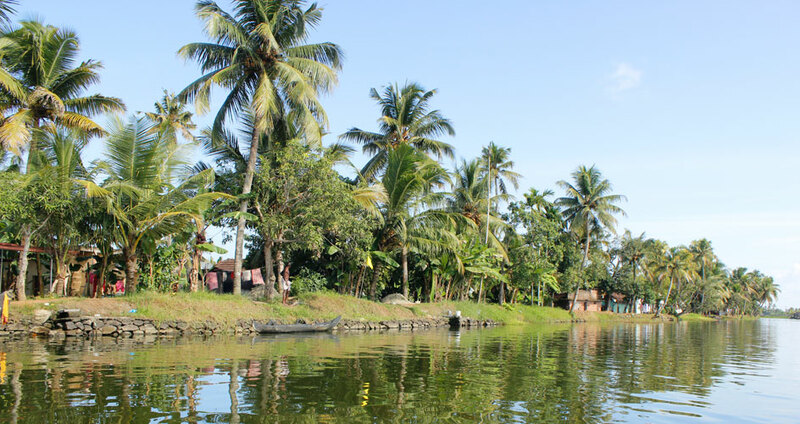 A cruise along the mirror-still lagoons, lush green rice-fields, picture-book lakeside, palm-fringed canals and shimmering rivulets of God’s Own Country is the most enchanting holidaying experience anyone can indulge in. Post breakfast, we disembark the houseboat at the Alleppey jetty and drive to the Marari Beach. The day is free to enjoy at leisure and to explore the areas nearby. 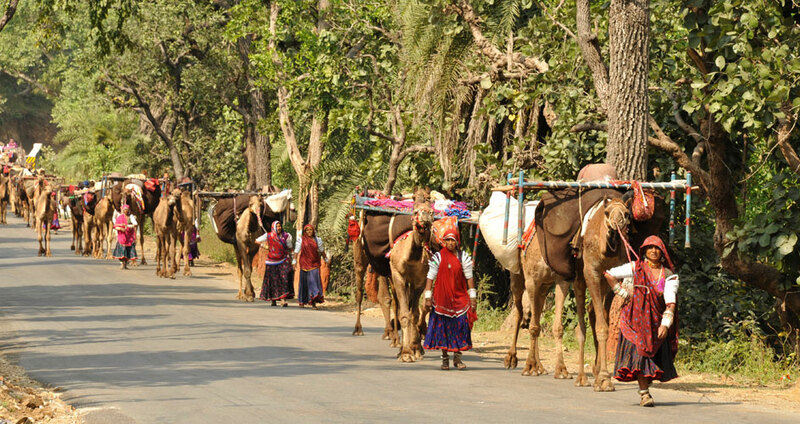 After breakfast, get ready for a beautiful day at Marari beach offering a wide array of activities for everyone. You can relax and soak up the serenity this beach has to offer. There are plenty of options for the adventure sports like sea surfing, parasailing, water skiing, and deep sea fishing. Kerala is famous for its Ayurvedic massages and treatments, and you can avail one of the many Ayurvedic spa services in your resort or an Ayurvedic spa nearby. After breakfast, you will be transferred to the Cochin Airport to catch a flight for your onward journey. Kathakali is one of the classical dances of India and Cochin is the best place to watch it live. Come a bit early to see the make-up process because it is as enthralling as the performance. The themes of the performance are Hindu mythologies and spiritual ideas and legends. The facial gestures, costumes, vocal performers and music are breathtaking. Kerala is known for its spices for centuries and the traders from the state have been exporting the spices like pepper, cardamom, vanilla, clove, cinnamon and nutmeg world over. Taking a guided tour in a spice plantation in Kumily is a experience, you cherish forever. 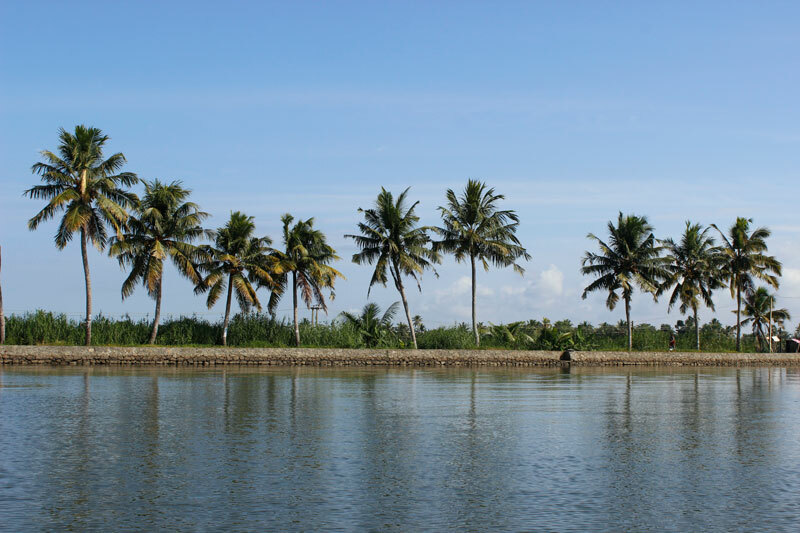 The ideal time to visit Kerala is from October to March, however if you wish to enjoy the monsoon season then June to September are perfect months. September is a very special month when the people of Kerala celebrate its harvest festival Onam, which is the best time to be in Kerala. Is stay at the houseboat is safe and comfortable? The accommodation in the houseboat will be very enjoyable and confortable. The room will be air-conditioned with attached western toilet. It will be exclusive houseboat for you and you will not share it with other tourists. The stay will be absolutely safe. What to bring with us for Kerala Tour? Sunglass, sunscreen lotion, cotton cloths, hat and the medicines if you are taking any.